This new years eve James and I had a table booked at the ever-wonderful Timberyard with some friends, and I was really keen to make a special garment to see off 2016 in style. I fancied making the In The Folds Acton dress, but thought it might be a little chilly. 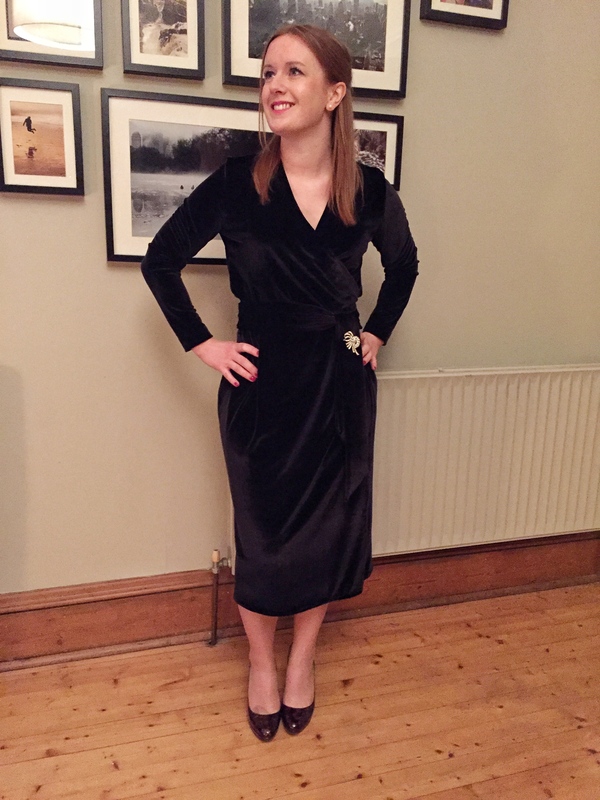 Instead, I opted for the Olivia wrap dress from Named Clothing, after getting the idea from a blog post by one of my favourite fabric shops, The Splendid Stitch, and also went for the lovely stretch velvet they suggested too. 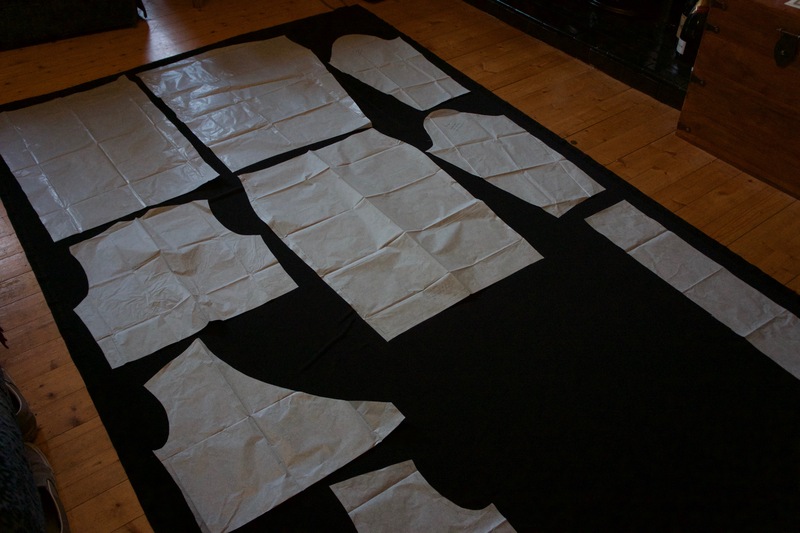 Cut all your pattern pieces on the back on the velvet, lying flat, with no folds (if there is something meant to be cut on the fold, then trace out the other side). Baste all your seams by hand together before using your sewing machine. 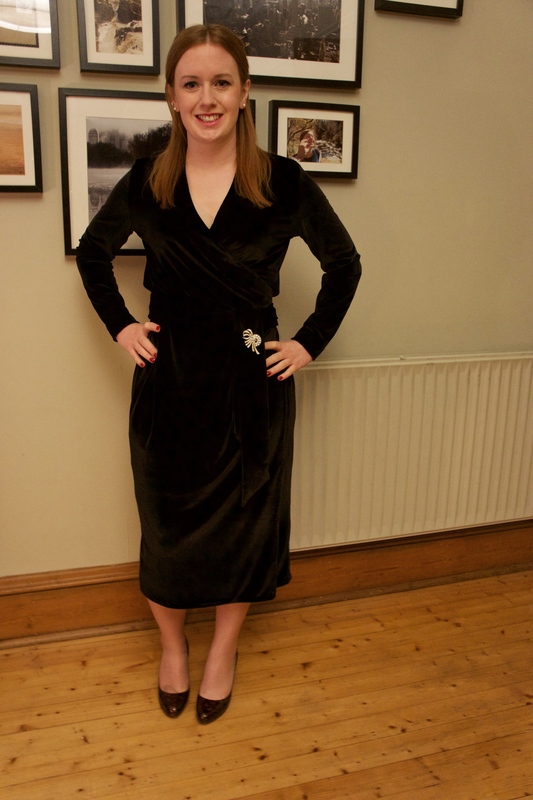 Never use velvet as a lining or a facing. 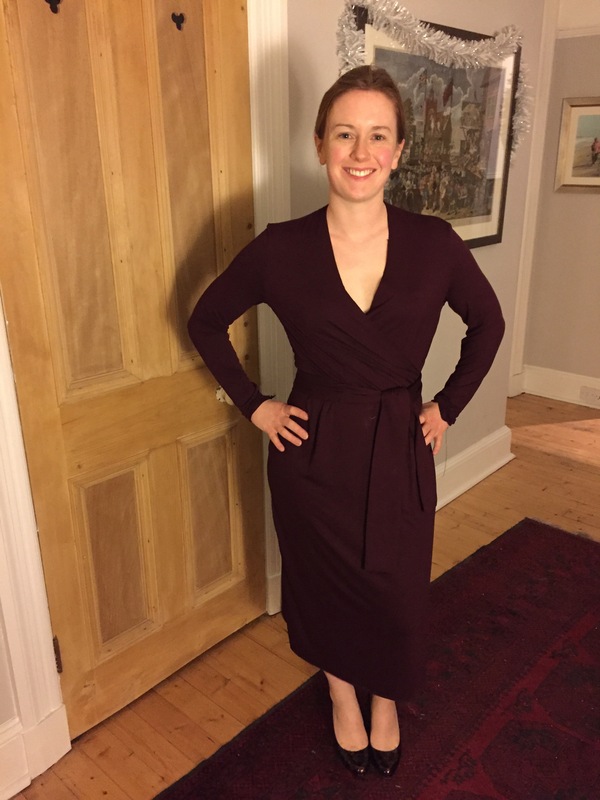 I didn’t need to make any adjustments to the pattern and just had to grade between two sizes for the entire garment – I wanted to run a little big, as I thought the dress would look better with a little give, and as I was under time pressure I also removed the pockets. I was really worried starting out that it would be a complete disaster – all the blog posts I read made sewing with velvet sound like the hardest thing in the world, but it was surprisingly easy. After a little practice, I opted for using an walking foot and a zig-zag stitch, and it seemed to do the trick. The dress made up pretty easily, and although it was very time consuming having to baste all the seams, I stuck the tv on and beavered away. 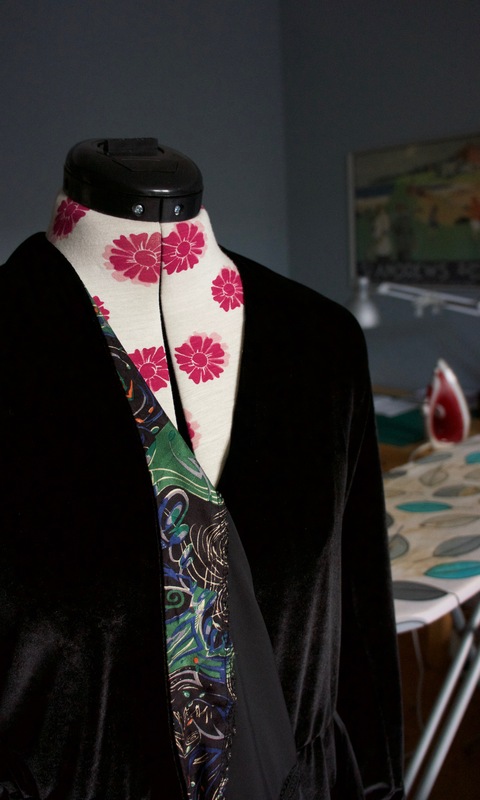 I also made the neck facing out of Georgina Von Etzdorf silk, which looked awesome. This is my new favourite dress, I will definitely be making up another one at some point…maybe in a less fancy fabric. I have just bought the pattern and am looking for inspiration. Thank you for all the tips.